Halloween is around the corner and that can only mean one thing…. it’s makeup time!! 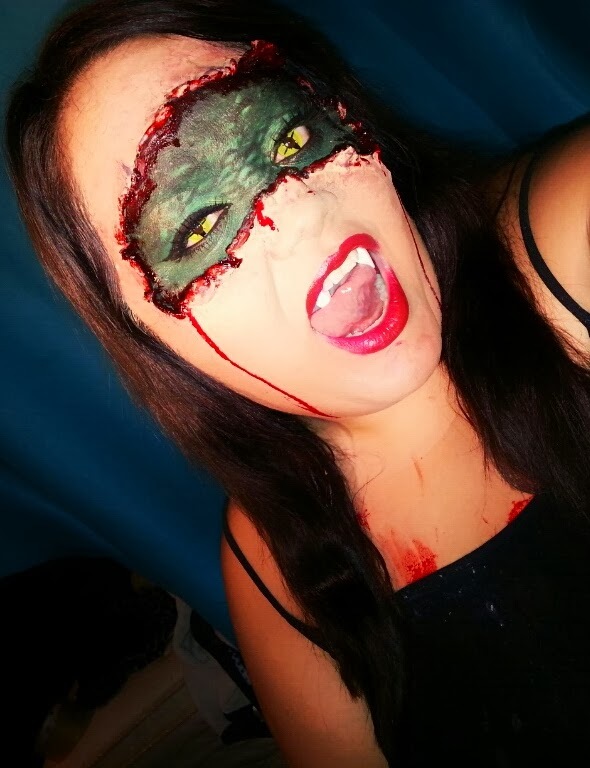 For my first look i decided to recreate this amazing reptile look that i found on Makeupbya20something . Contact lenses: I bought mine in a hair store! Sorry! but there are many website where you can find them. Body Lotion or Vaseline : I used Lancomes Nutrix Royal, but any cream would do! 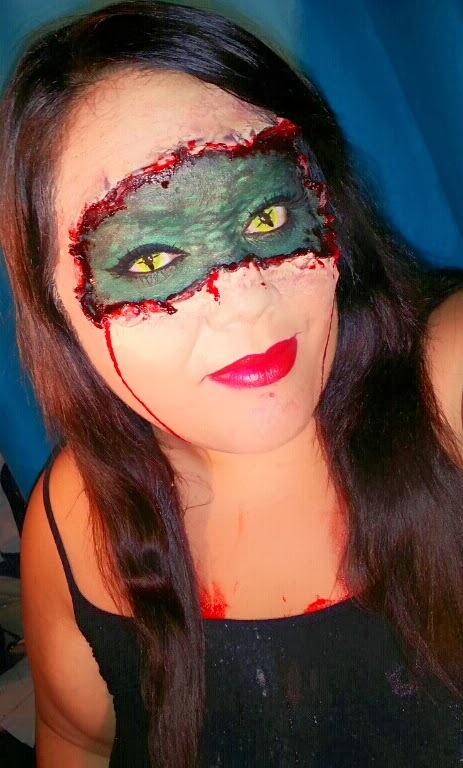 Liquid Latex: I used Spirits Halloweens own latex.. but againg you can find it anywhere now. Black and Green Shimmer Eyeshadow: I used Matte Elite but they are discontinued. Any Eye shadow will do. Castor Seal (optional): Mehron caster seal. I used this to make it easier, but it’s not necessary. Powder: I used Ben Nye Banana powder, but any powder will do. Foundation: I used My own brand (Beauty By Shaq Cosmetics Coming soon. ) Any foundation with good coverage will do. Bruise Wheel: I used Mehron bruise wheel. 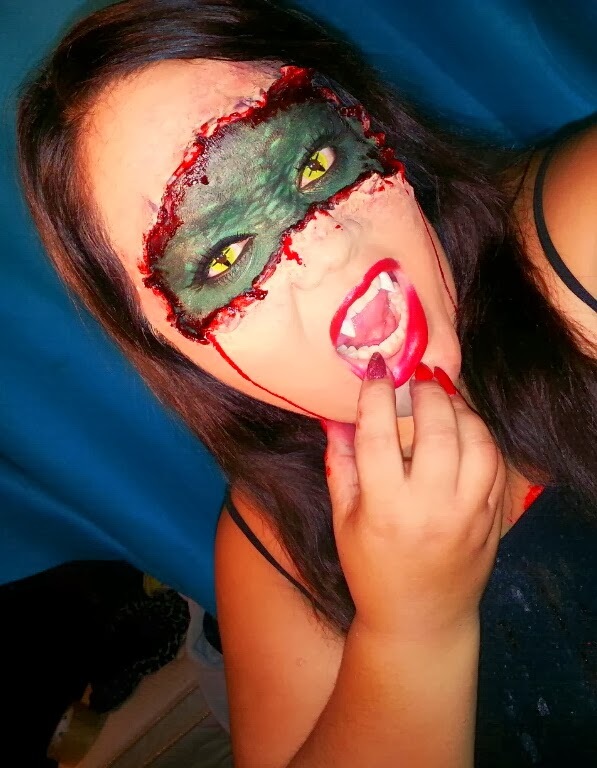 but you can also use the cream makeup instead. vampire blood and they will do the same. Eyeliner: Ofra Cosmetics (best eyeliner ever) any black eyeliner will do. The rest is : Lipstick, and eyelashes and you can use your choice. 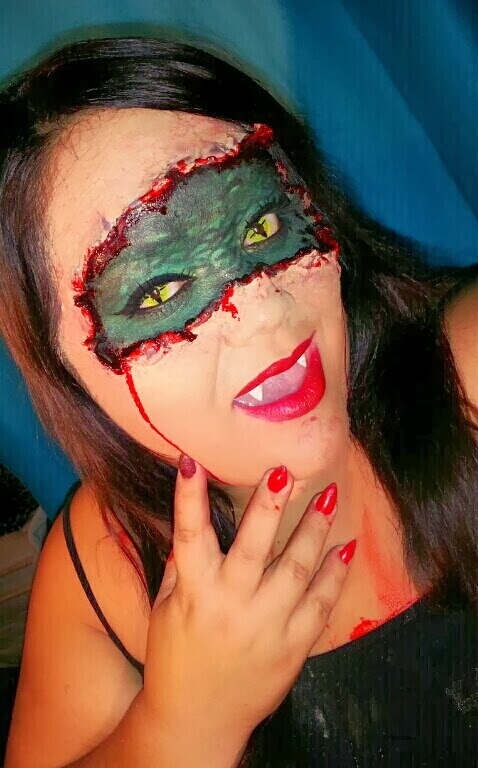 This look was easy to create and fun and everyone has loved it! I hope you enjoy making it as much as I did! If you do please respond with a picture or tag me on instagram @beautybyshaq . Here you have a step by step tutorial on how to create this look!